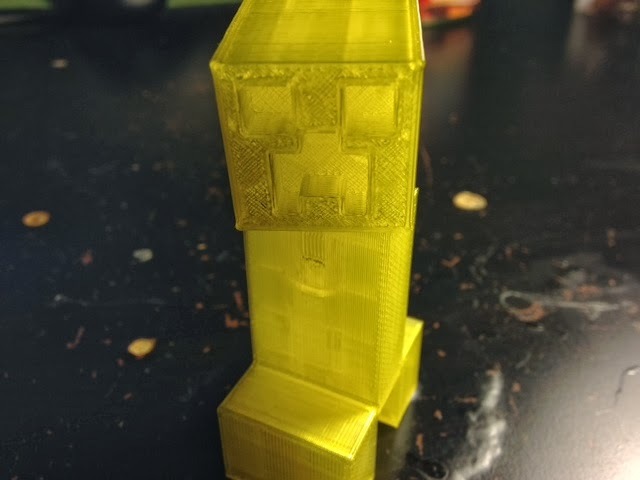 In need of some party favors for an upcoming Minecraft birthday party for C, today we tried out Conseils' Minecraft Creeper with Movable Head on Thingiverse. Settings: Makerware low/.3mm works fine, but the connector tab needed to be snipped a bit thinner to work. But then it works and the head really turns!